December 2014 | Florida Law Advisers, P.A. The answer for where to file bankruptcy is governed by the rules for venue. Generally, venue refers to a place or location in which something takes place. In regard to where to file bankruptcy, venue refers to the place where the bankruptcy petition should be filed. Venue is governed by federal bankruptcy law 28 USC 1408. Venue in bankruptcy cases is a pretty straightforward concept; however, completing the petitions and navigating a case through the court system can be very difficult and tedious. If you are contemplating filing for bankruptcy you should seek the aid of a Tampa bankruptcy attorney before taking any legal action. A bankruptcy lawyer in Tampa can help draft the necessary bankruptcy forms, navigate your petition through the court system, advocate on your behalf against creditors, and help you get the most relief possible from bankruptcy. If the debtor moved within the 180 days preceding the bankruptcy filing, venue will be where the debtor was located for the greatest amount of time within the 180 days. Once again, the first place to start for where to file bankruptcy will be the location of the business. A corporation’s domicile will be the district where the business is incorporated. A domicile will not change unless a new one is acquired. See In Re Frame. On the other hand, the principal place of business will depend on the facts and circumstances of each case. For instance, many companies conduct business in multiple states and have locations throughout the country. In these types of situations, the principal place of business is the “nerve center “ of the business. See In Re Peachtree Lane Associates. In cases involving business partnerships, where to file bankruptcy will be based on either the principal place of business or location of the principal assets. Residence or domicile are not a proper basis for venue in bankruptcy cases filed by partnerships. See In re Willow Ltd. Partnership. At Florida Law Advisers, P.A., we understand that filing for bankruptcy can be a very confusing and intimidating process. That is why we work so hard to make the process as easy as possible for our clients. When you hire Florida Law Advisers, P.A., you have an experienced bankruptcy attorney by your side throughout every phase of the bankruptcy process. We will help ensure your rights are protected, keep you well-informed, and help you receive the utmost relief bankruptcy can offer. To schedule a free consultation with a Tampa bankruptcy lawyer at our firm call, email, or fill out an online inquiry on our website today. When a family moves from one state to another or the parents reside in different states it can be confusing how to receive child support when parents live in different states. The Uniform Interstate Family Support Act (UIFSA) is designed to help resolve these issues. Under federal law, each state is required to have the UIFSA in effect to help improve the enforcement of child and spousal support orders. The UIFSA provides uniformity amongst the states for child support procedures and provides for enforcement of child support orders from foreign states. Thus, under the UIFSA, a child support lawyer in Tampa can take legal action to enforce a child support order on a resident of another state. Under the UIFSA, all states are required to recognize and enforce child and spousal support obligations from other states. Therefore, a Florida attorney can help with child support when parents live in different states. For instance, if a Florida family law court issues a child support order and the father subsequently moves to New York, the UIFSA will assist in enforcing the order in New York. 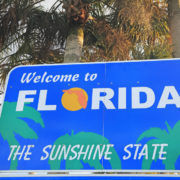 Without the UIFSA, Florida may not have jurisdiction (legal authority) to enforce the child support order when parents live in different states. The UIFSA is very complex and can be difficult to understand without proper legal training. Therefore, if you are a Florida resident seeking to enforce a child support obligation on a resident of a state other than Florida you should seek the assistance of a Tampa child support attorney. The Florida Department of Revenue can also assist in the collection of child support when parents live in different states. 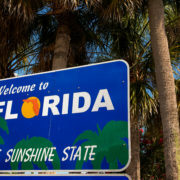 The Florida Department of Revenue can garnish wages, suspend a driver’s license, withhold federal income tax refunds, and take other measures to help obtain payment of child support from Florida residents. If the party obligated to pay is not a Florida resident, the Department can also assist in working with the state the payor resides in to enforce the child support obligation. Moreover, the enforcement action will not be barred simply because the child is over the age of 18. See Florida v. Vorac. The Florida Department of Revenue can be a great resource but they are no substitute for having a qualified family law attorney on your side. The UIFSA can also be utilized in Florida to establish child support when parents live in different states. See Florida Child Support Law 88.4011. Under this child support law, a court can establish child support obligations, if the parent seeking payments reside in a state other than Florida or the support enforcement agency seeking the order is located in another state. If you do not fall into either one of these two categories, contact a family law attorney for information on obtaining a child support order under a different Florida family law statute. If you have not been provided the child support you are entitled to contact Florida Law Advisers, P.A. to speak with a family law attorney in Tampa. The child support attorneys at Florida Law Advisers have years of experience assisting families in the Tampa Bay Area resolve their legal issues. We understand how important these matters are and will be by your side every step of the way to provide the legal support you need. For more information or to schedule a free initial consultation with a family law attorney call us today at 800 990 7763. If you are a Florida resident but your child’s other parent lives in a different state, you may be wondering how to collect Florida child support when the parent lives outside Florida. Conversely, if a Florida court already ordered child support but now the father lives in a different state, how can you enforce the Florida child support when the parent lives outside Florida? The Uniform Interstate Family Support Act may provide the answer to both of these questions. Under federal law, each state is required to enforce the UIFSA to help improve the enforcement and origination of child support orders. The UIFSA provides uniformity amongst the states for child support procedures and provides for enforcement of child support orders on residents living in different states within the U.S. Navigating the UIFSA can be difficult, if you need help contact a family law attorney in Tampa for assistance. Under the UIFSA, all states are required to recognize and enforce child and spousal support obligations from other states. Therefore, you can use UIFSA to collect Florida child support when the parent lives outside Florida. For instance, if a Florida family law court issues a child support order to a resident of Georgia, the UIFSA will require Georgia to enforce the order and collect the child support funds. Without the UIFSA, Florida may not have jurisdiction to enforce the child support order on the Georgia resident. Unfortunately, the UIFSA is very convoluted and can be difficult to understand without proper legal training. Therefore, if you are a Florida resident seeking to obtain or enforce Florida child support when the parent lives outside Florida a family law attorney in Tampa can assist with this matter by utilizing UIFSA. The UIFSA can be utilized for many types of legal issues affecting families that are separated by state borders, not just Florida child support when the parent lives outside Florida. For instance, UIFSA provides for the establishment of spousal support, establishment of child support, the enforcement of child or spousal support orders (including wage garnishments), and modification of a child or spousal support order. However, the UIFSA cannot be used to resolve any issues regarding child custody or visitation. See Florida v. Ridge. Moreover, the UIFSA cannot be used to condition the payment of child or spousal support upon the granting of visitation. Additionally, the Full Faith and Credit Clause of the U.S. Constitution along with other federal statutes can be used in combination with the UIFSA to enforce Florida child support when the parent lives outside Florida. Under the Full Faith and Credit Clause, each state must recognize the judicial decisions and statutes of states within the U.S. Further, federal child support law requires each state to enforce a valid child support order. However, child support law requires that the state have both personal and subject matter jurisdiction. Personal jurisdiction refers to a court’s authority over the parties in the case. On the other hand, subject matter jurisdiction refers to a court’s authority to rule on the substance (subject matter) of the dispute. For information on subject matter or personal jurisdiction contact a Florida family law attorney in Tampa. If you need assistance with a child support or alimony case contact Florida Law Advisers, P.A. to speak with a Tampa family law attorney. The family law attorneys at Florida Law Advisers, P.A. have years of experience helping clients resolve their child and alimony disputes. Our professional legal team is passionate about these matters and will work diligently to help achieve the outcome you desire. Contact us today by phone, email, or online inquiry to schedule a free initial consultation with a Florida family law attorney at our firm. Do I Need a Lawyer for Chapter 7 Bankruptcy? A common question we hear is, do I need a lawyer for Chapter 7? If you are thinking about filing for bankruptcy you should meet with a bankruptcy lawyer to discuss your case before taking any legal action. Generally, you are not required to retain a lawyer for Chapter 7 but due to the complexity and potential consequences you may find that you do need a lawyer for Chapter 7. Without competent legal advice you may be unaware of bankruptcy laws that can be used to dismiss your case or prevent the discharge of debts. Additionally, you may be forced by the bankruptcy trustee to sell some of your precious assets. Therefore, its better to be safe than sorry when answering, do I need a lawyer for Chapter 7. Most bankruptcy law firms in Tampa will offer a free consultation to address your questions and advise of the potential risks that may be present in your case. Do I Need a Lawyer for Chapter 7 to Discharge Debt? If a debt is discharged in bankruptcy the borrower will be released from all liability on the debt. The discharge is typically the primary reason why people file for bankruptcy. A common reason why consumers will think they do need a lawyer for Chapter 7 is to help ensure their debts are discharged. There are two major sections of bankruptcy law that can be used to prevent a discharge of debt, Section 523 and Section 727. Section 523 deals with the discharge of individual debts, a denial under 523 only effects that specific debt, the remaining debts included in your bankruptcy may still be eligible for discharge. Conversely, a denial of discharge under 727 would preclude all the debts included in the bankruptcy from discharge. Thus, a preclusion of discharge under 727 is a lot more severe. This article will focus primarily on a denial of discharge under 727. For more information on denial of discharge under 523 contact a Tampa bankruptcy attorney. An objection to discharge under 727 can be made by any party to the bankruptcy case. Most often, the party filing the objection will be either the bankruptcy trustee or a creditor included in the bankruptcy. The party filing the objection has the burden of proving the grounds for the objection. See In Re Brooks. The objecting party must provide sufficient evidence to establish the grounds for denial beyond a preponderance of the evidence. This standard only requires the objecting party to prove the grounds for denial are more likely than not to have existed. Proving the objection is justified will depend on the specific facts and circumstances of each case. If you are concerned about objections to discharge you should consider retaining an experienced bankruptcy attorney in Tampa to assist. Do I Need a Lawyer for Chapter 7 if Trustee Objects to Discharge? Often, we get calls inquiring, do I need a lawyer for Chapter 7 if the trustee has objected to discharge? You are not required to have an attorney but it is highly recommended to retain a chapter 7 lawyer in cases such as these. There are many different situations which can lead to a denial of discharge under 727. Do I Need a Lawyer for Chapter 7 and Chapter 13? Denial of discharge under 727 is only applicable to Chapter 7, the law does not apply to Chapter 13 bankruptcy. However, Chapter 13 has its own unique set of advantages and possible pitfalls. Bankruptcy law does not force you to hire an attorney for Chapter 13. However, do I need a lawyer for Chapter 7 or Chapter 13 is a lot different question than if you should I hire an attorney. Even though its not required, you may very well want to hire an attorney to protect yourself from the potential pitfalls of Chapter 7 or Chapter 13. Florida Law Advisers, P.A. is dedicated to providing effective representation, individual attention and affordable fees to our bankruptcy clients. Our Tampa bankruptcy attorneys have years of experience helping people just like you solve their financial problems and obtain a fresh start. We combine our experience and skills in the courtroom with a thorough knowledge of the law to help achieve the results our clients need and deserve. Regardless of whether you need help with Chapter 13, Chapter 7, or other forms of debt relief our professional legal team will provide you with competent legal advice you can trust. Call us now at 800 990 7763 to speak with a bankruptcy attorney in Tampa and schedule a free initial consultation. https://www.floridalegaladvice.com/wp-content/uploads/2014/12/shutterstock_3350951.jpg 1934 2932 Florida Law Advisers https://www.floridalegaladvice.com/wp-content/uploads/2017/05/logo2.png Florida Law Advisers2014-12-07 14:05:312018-05-27 09:18:53Do I Need a Lawyer for Chapter 7 Bankruptcy? Alimony, which is also frequently referred to as maintenance or spousal support is payment from one ex-spouse to the other. The fundamental principal guiding an award for Florida permanent alimony is the disparity in financial resources of the two parties. However, disparity in financial resources alone is not enough to justify an award for alimony. See Segall v. Segall. Instead, Florida family law courts look at one spouse’s ability to pay alimony vs the other spouse’s need for Florida permanent alimony. See Canakaris v. Canakaris. Florida family law allows for many different types of alimony, which can vary in duration, amount, and purpose. Florida courts have a lot of discretion in awarding alimony and if so, how much. 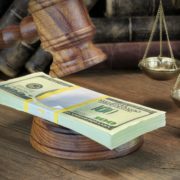 The Tampa divorce attorney in an alimony case can make a big difference on the type and amount of alimony that is awarded. 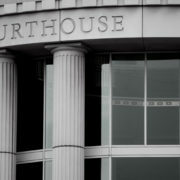 Therefore, it is important that you hire a divorce law firm in Tampa that is experienced in Florida alimony litigation. Florida permanent alimony is periodic payments of financial support paid to an ex-spouse for an indefinite duration. The purpose of Florida permanent alimony is not to divide future income, rather it is to provide for the needs and necessitates of a former spouse as they were established during the marriage. See Mallard v. Mallard. Permanent alimony is only proper when there is evidence that shows a permanent inability on the part of the ex-spouse to become self-sustaining. Further, permanent alimony is typically only awarded upon the divorce of a long-term marriage. Florida divorce law classifies a long-term marriage as a marriage lasting longer than 17 years. However, it may also be awarded in the divorce of a moderate-term marriage (marriages lasting 7 – 17 years) if it is proven to be appropriate by clear and convincing evidence. This is a much higher standard than the burden of proof for long-term marriages. Short-term marriages (marriages lasting less than 7 years) are also eligible for permanent alimony but the recipient must prove there are exceptional circumstances and that no other form of alimony is fair or reasonable under the circumstances. See Florida alimony law 61.08. Duration of the marriage is an important part of any Florida divorce case involving the demand for permanent alimony; however, it is not dispositive. The duration only establishes the burden of proof for the party seeking this type of alimony. The party seeking permanent alimony will still need to prove a permanent inability to become self-sustaining. Additionally, the spouse seeking alimony must establish alimony is proper under the “need and ability to pay” test. See Guiterrez v. Guiterrez. The first part of this test is to establish there is a need for alimony. The term “need” does not mean basic living expenses such as, rent, food, and clothing. Instead, the term “need” refers to the standard of living that was enjoyed during the marriage. See Griffin v. Griffin. It is important to note, “need” can include many things that most of us would consider luxuries. See Firestone v. Firestone. Once the “need” is established, the spouse will then have to prove that the other spouse has the ability to pay the alimony sought. Florida permanent alimony can be modified or terminated if there is an unanticipated, substantial, material, and involuntary change in the circumstances of either party, that was not contemplated for at the time the alimony was awarded. See Florida alimony law 61.14. For instance, if permanent alimony was awarded it may modified or terminated upon the death, remarriage, or if the spouse receiving alimony enters into a supportive relationship. If a modification or termination of permanent alimony is sought due to a supportive relationship, the divorce attorney seeking the change has the burden of proving the supportive relationship warrants a modification. Determining whether or not the supportive relationship is grounds for an alimony modification will depend on the specific circumstances of the case. A skilled divorce lawyer in Tampa can make a big impact in a divorce involving a claim for alimony. If you are contemplating filing for divorce or your spouse has already filed for divorce, call us today to speak with a divorce attorney in Tampa. The divorce attorneys at Florida Law Advisers, P.A. 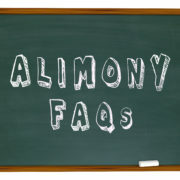 have years of experience in both advocating for and against alimony. With years of experience in family law litigation, we are more than ready to present a compelling case on your behalf and stand firm for what is fair. If you would like to speak with a divorce attorney at our firm call us today at 800 990 7763 to schedule a free consultation.